I longed for this. Mist and silence. I found it here among the hills where no one lives. The long roads through farms of hay. The house windows, like ghost eyes, looking out. I can’t see in. I am alone here.The sound of birds. The ripples of dreams in the streams. So much water. Wandering, whispering, speaking in song. The language of magic. Just to be. I have craved this place and yet found little here. To find nothing. Only me. The hill. So big. My dream come true. I like them big. But small is so much easier. Pushing me, I keep going. Keep going. Pull the invisible rope. Breathe through. I will make it to the top. I always do. I listen for you in the wind. On the road. I can hear you speaking so clearly. See you and the dark, with such promises of light. 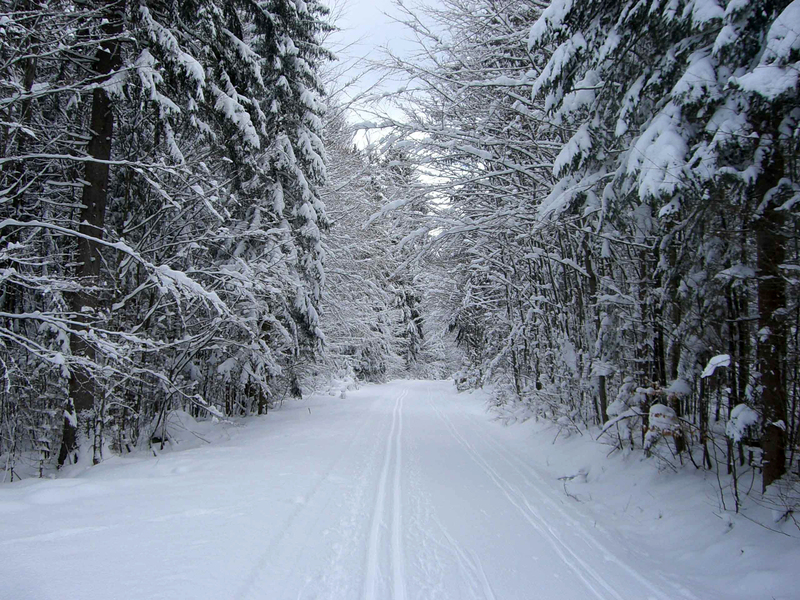 The trees breathe and sway, singing of something. A story of next. Of before. I can’t really tell. But it is a lovely verse. And though I can not quite make it out, I know it is right and I know it is now. And I realize the you I am waiting for is me. There is only me on this hill top. Even when I am with you. but lost all the same. Maybe when I go back, I will remember what freedom wanting is. Then I can focus on dreams. Here is the limitless nothing of possible, silence and mist. Summer time is here and I am determined to “finish” Cold Spring Fire” by the end of it. I know. I know. Promises. Promises. There has been a lot going on in life and the path has been steep and rocky at times – but the writing calls. I write not because I want to, but because I have to. There are stories to be told or else they will burst me. 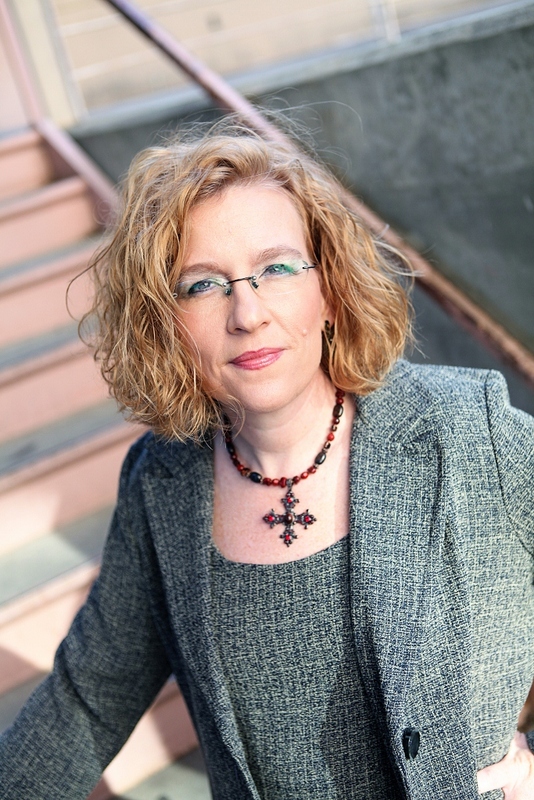 So… this Wednesday, July 8th, I am presenting at the Greenfield Public Library an Author Talk. 6 PM. If you are in the western, MA area – please stop by and say hello. 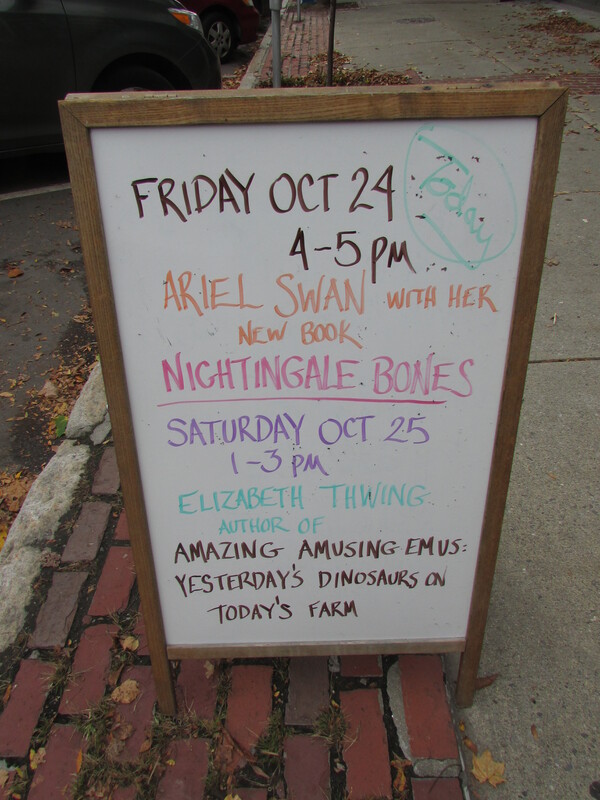 I will be reading from and talking about The Nightingale Bones as well as a little about Cold Spring Fire. I will be signing books both brought and bought. I’d love to see you. 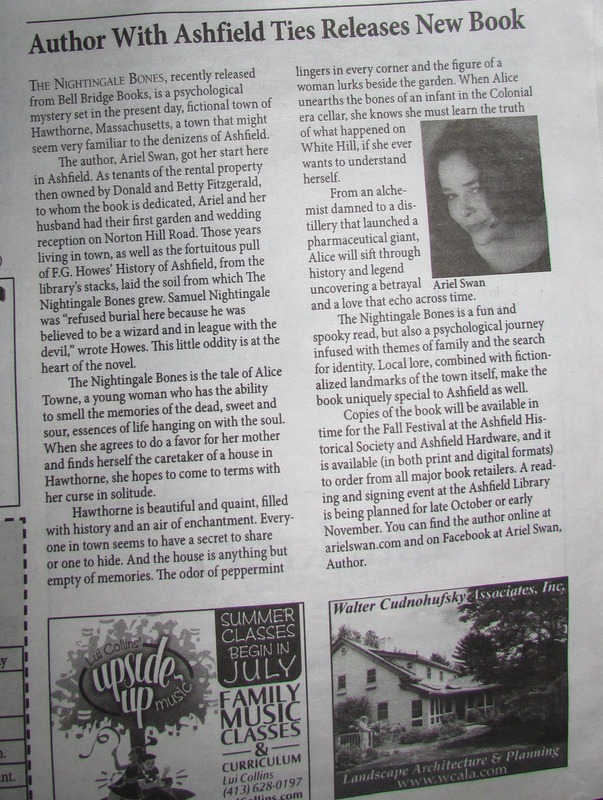 AND….this weekend, I believe I am to be featured in The Springfield Republican! Check it out! Happy Fourth of July – here’s to celebrating the independence to choose, to live, to love, and to write! in the ways that make us most happy! P.S. Happy Blue Moon Month! Hope everyone had a wonderful holiday season. Someone told me recently that for the Chinese New Year the tradition is to 1) clean your house and sweep all the “dirt” out the door (Josephine would be pleased), 2) buy a new outfit to wear on New Year’s Day, and 3) cut your hair. Here’s to new beginnings and a prosperous 2015! I am busy getting ready for Book Tour 2.0. In January I am pleased to announce that I will be in Harvard, MA on Saturday the 24th from 4-7 pm at the upstairs of The General Store. It is a gorgeous space. When I was growing up there was a camera shop up there. I remember as a 5th grader buying candy after school at the General Store with my friends. We could walk over through the cemetery from school. That was before they paved the walk around path to keep kids out of sacred ground. (Samuel Nightingale would be sad). Then, I will be in Agawam on the 29th at 7pm. Thanks so much Wendy for reaching out! In March, which will come fast, I will be at the Springfield Author Fair from 12-4 at the public library. I look forward to meeting my fellow Bell Bridge author Howard Odentz there. Thanks too Howard for reaching out. And…I have a few other surprises in the works. Hopefully more on those soon. Looking forward to seeing you all soon! The past few months have been a bit of a whirlwind. 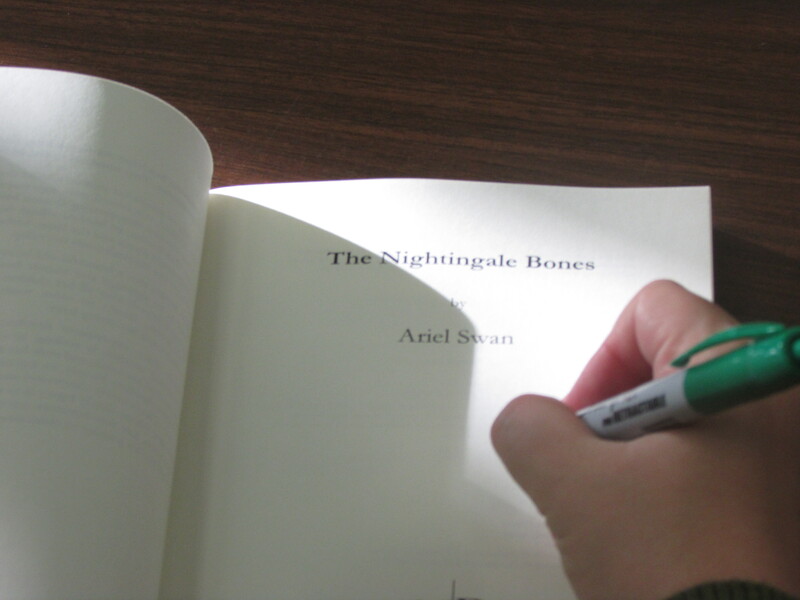 The Nightingale Bones was released just as I returned to my day job for the school year. While my publisher has been working the digital end of things, I have been doing what I can to promote myself and celebrate the release of the book locally. I am one of those authors who drives around with a box of books in my car and always has a signing pen in my pocket. Believe me it comes in handy. Columbus Day weekend I returned to the place from where the seeds of the story grew. The Ashfield Historical Society was thrilled to receive a copy of the book, happy to stock it, and happy to have me sit on their porch for the famous Fall festival to peddle my wares. 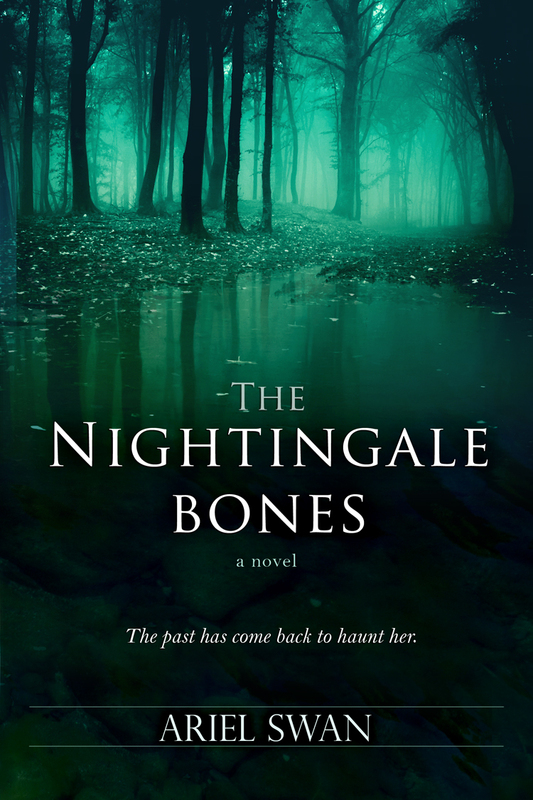 The historical society features prominently in the fiction of The Nightingale Bones. It was amazing to have people walk by and mouth the words of the title and even more amazing that people stopped in and bought some! 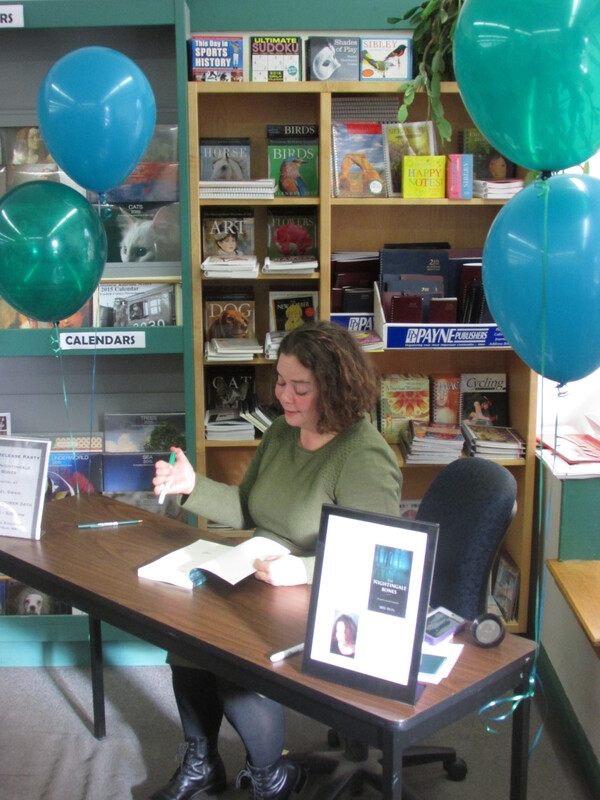 In late October I had my first book signing at World Eye Books in Greenfield, MA. A whole bunch of lovely folks turned out, buying two and three books each. This was unexpected and, since being in the small publishing world, I have to supply my own books, I was afraid I was going to run out for the next day’s event. At a favorite local restaurant, we had a book celebration complete with reading. This attracted family and friends from all over. 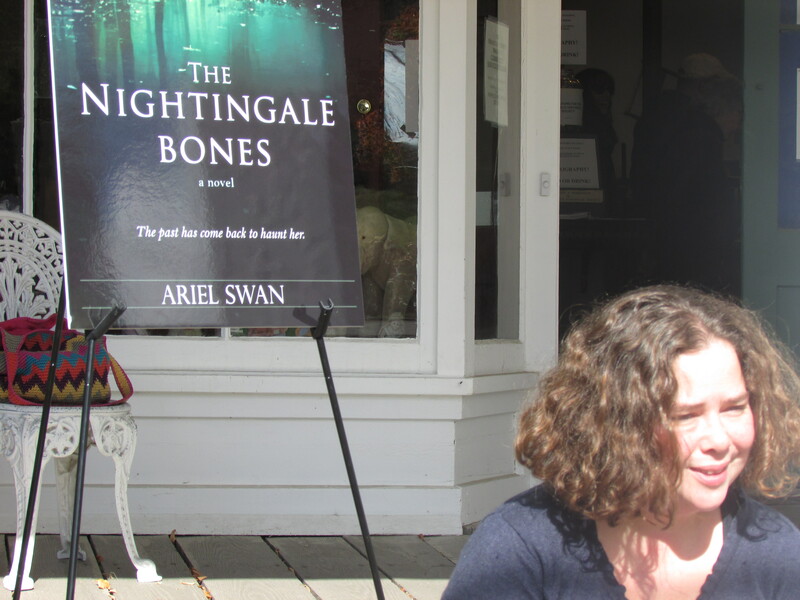 It was a private event, but it was so wonderful to bask in that moment of The Nightingale Bones finally being a reality. Some things I learned in those first three events: Ask people if they want the book personalized or just signed. Some just want the signature, so they can pass it on, or…because it will be worth more some day if I become famous. 😉 Also ask people to spell their names as you write. It is hard to spell anything when there is a crowd and so much going on. And of course, the last thing you want is to misspell someone’s name in the copy of your book they just purchased! At my fourth event, again in Ashfield, at the town library, was small, but people showed up whispering “see I told you it was her…” They recognized me from when I lived there via the write up the local paper did. It was great to answer their questions as to how I took tidbits of the town’s folklore and wove my own story. There were even some folks who came that had informed bits and pieces of characters in the story. It was really quite surreal. At this event, half way through reading my seance scene, I realized I needed to give context to the scene before I read it, for those who had not read the book yet. I hadn’t done this at my first reading either. Lesson learned. 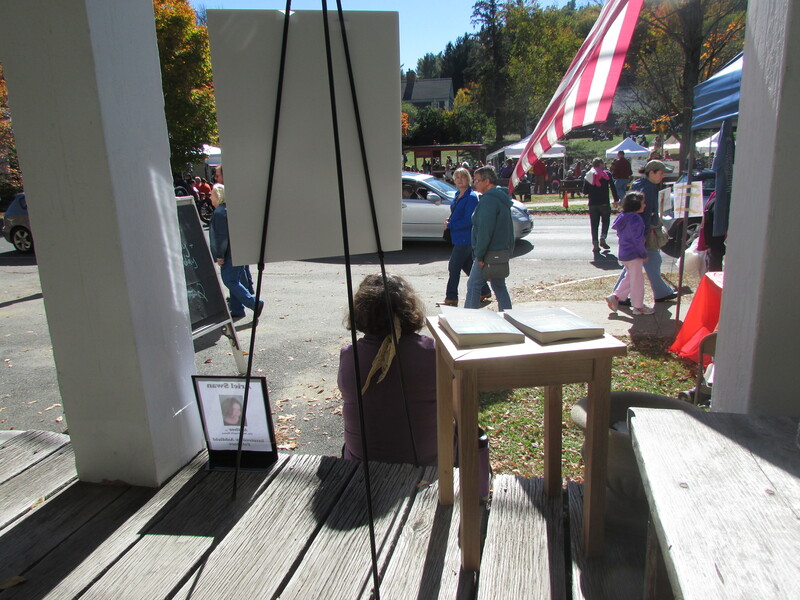 I also found myself at an artist walkabout up in the hills of western, MA where I was outside on a farm stationed near a barn as people hiked up and down a dirt road from artist studio to studio. I actually sold quite a few books that day and found that my husband is a great promoter. While I am shy about approaching people and being like: “Hey, check out this book,” he is not. He would prime them and then send them my way. One woman was talking to me for a minute admiring the view of the farm and then realized I was the author that strange man with the lovely eyes had just been talking up. “Is this you?” she exclaimed holding up my promotional post card. She ended up buying a book and I gave an impromptu book talk right there on the cold, sunny hillside. In a few weeks I will embark on round two of the homegrown book tour. January 24th I will be at the Harvard General Store from 4-7pm. 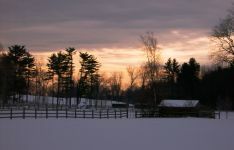 Harvard is the town where I grew up and is fictionalized in my second novel in progress, currently titled Cold Spring Fire. I am SUPER EXCITED TO SEE ALL MY OLD SCHOOL FRIENDS THERE!!!!!!!!!!! Then on January 28th I will be at the Agawam Public Library for a reading, and in March at the Springfield Public Library for an author fair. Hope to see you there! As social media works, those who have liked my FB page will already know this, but for the rest of you out there, and perhaps for anyone who missed it the first time, I am happy to announce that Distillation has a new title and…most exciting…a COVER! First, let me say it has been an experience in itself to turn my baby, this book I have been working on in one way or another for a number of years, from first words, to rewrites, to agent, to publisher, over to someone else. This is another step in the long journey to being a published author, letting those who know what they are talking about tweak it for the market. And each step of the way, I have thought, ‘well this part of the journey is the most difficult.’ But not this time. As my agent would tell you, I tend to have an initial reaction, a desire to hold on to what I have thought to be the way it is, and then, without too much fuss, I think, I have been able to see the merit in change. 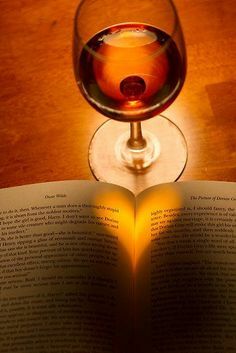 It is amazing, actually, to experience how an outside entity takes the work and shines it into something that both reflects the novel but attracts a variety of readers. The title process was not too difficult. The publisher tossed out some ideas, we tossed some back, and ultimately, she decided on one that was one I had liked from her first list. So…The Nightingale Bones it is. I would certainly check out a book with this title. It evokes mystery. Is it talking literally about bird bones? I am attracted to things with birds, and bird bones have a certain creepy quality. Or, is Nightingale a person? And are the bones his or her individual bones or are these bones somehow related in another way? Are they human bones, or what? Hmm. Overall then, the idea is evocative and draws in a reader. Great! The cover was the most exciting part. I feel lucky to have been asked to submit an Art Fact sheet where I could put forward images and ideas I felt represented the book in mood and content. My favorite question was ‘If the book were a color, what would it be?’ Peppermint green was my answer, peppermint being central to the story, and it is that haunting green of the cover that provides an air of both eeriness and beauty all at once, to paraphrase a commenter on my author page. My favorite part, other than the color, are the stones that can just be seen beneath the water. These strike a chord for me from a number of subtle elements in the story…but you will have to read it to find out what those are. What do you think the cover says? What kind of story do you imagine lies beneath? 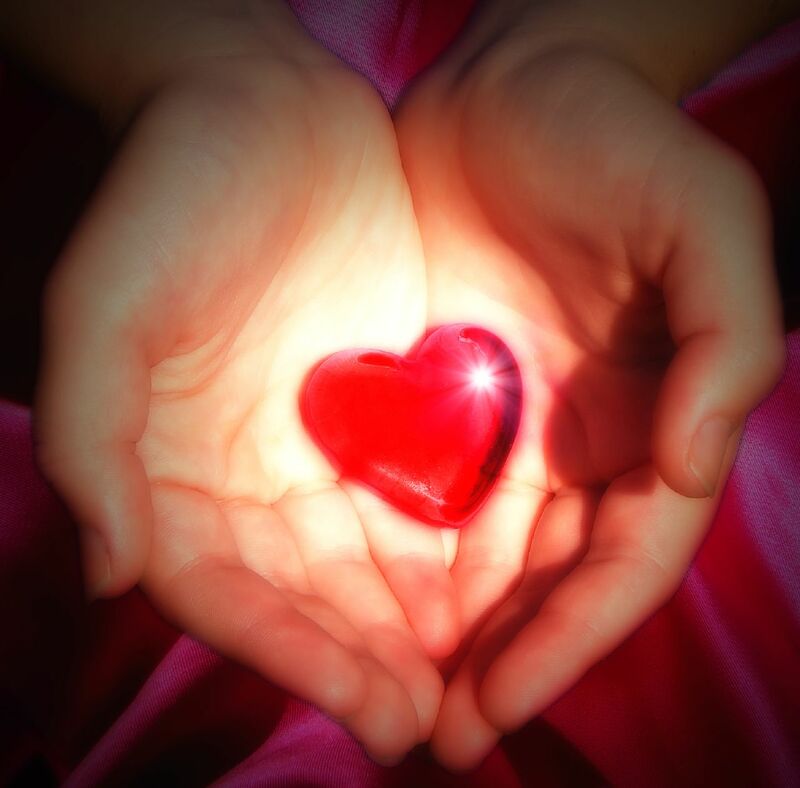 And, if you haven’t, stop by Ariel Swan, Author on Facebook and Like it !